TongueOut is silly. TongueOut is foolish. Yet, to be used by God, we who are educated, “wise”, and higher in the ladder of success need to become foolish, become silly, step out of our comfort zone, off our ladder of success, pride, fame, and popularity to become like a child. When our tongues are out, we are all the same in God’s eyes. Only then can we be used by Him. 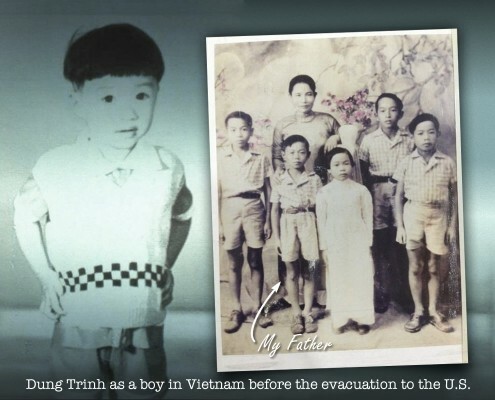 Dr. Dung Trinh and his younger siblings escaped to the United States as refugees of the Vietnam War. 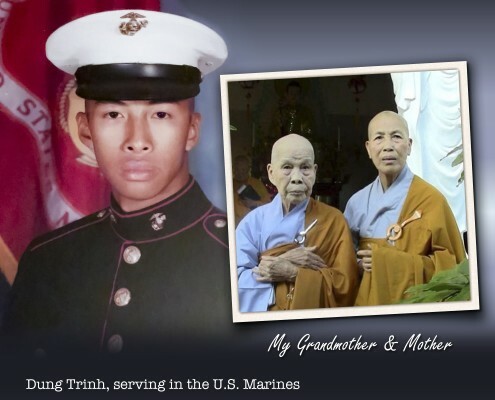 As a five year old, he was airlifted from a US military helicopter hours before the fall of Saigon. His family came empty handed to Santa Ana, California, but they were grateful for the hope of rebuilding their lives. He learned early that he would have to work hard in school in order to help his family’s situation. Later, he joined the US Marines for five years while in college, and he was given an honorable discharge upon his admission to medical school in New York. He has served on the board of directors of both for profit and non profit organizations over the past several years including Bristol Park Medical Group, MemorialCare Medical Group, Alzheimer’s Orange County, and others. 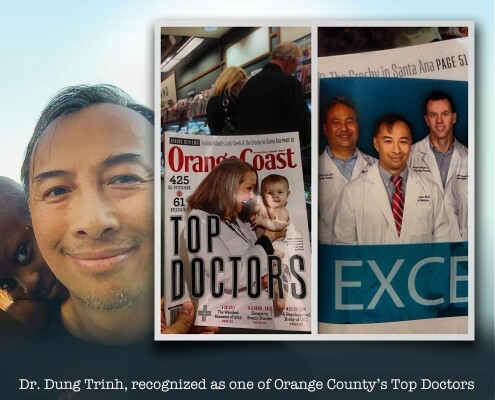 Dr. Trinh has received the “Physician of Excellence” award by the Orange County Medical Association and Orange Coast Magazine/Orange County Register for nine consecutive years. His activism stems from his deep faith in God and from an authentic appreciation of his parents’ sacrifices for their four children. 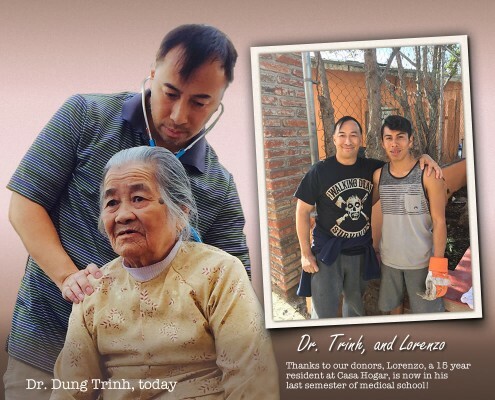 Dr. Trinh’s father was raised in an orphanage himself, and Dr. Trinh’s mother has dedicated her life to spiritual practice and service by becoming a Buddhist monk. 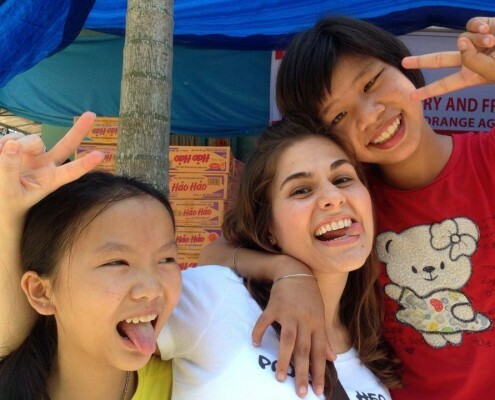 TongueOut was created to “even the playing field” for children who are less fortunate. Roberta Hataway serves as Projects Coordinator for The TongueOut Corporation, a 501c(3) Non-Profit Organization. 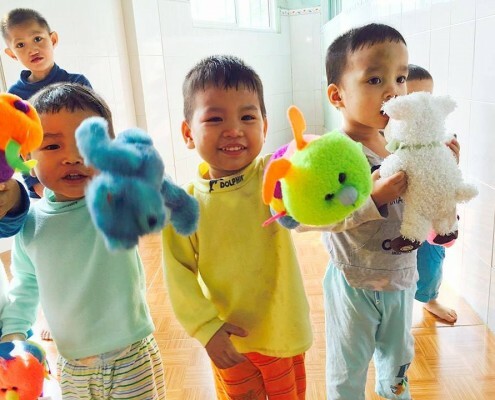 The focus of our work is to give hope for children “forgotten” by society. We care for the abandoned, and the poor with medical care, education, school construction & repair, and more. Want to help? Take the first step. Our purpose is to be servants for those in the third world who are hidden and forgotten by society. We want them to know that HOPE exist, and that they are LOVED. Our purpose is also to mold and shape the hearts and minds of our own children and students who come volunteer with us – to create the next generation of Servant Leaders focused on “loving others more than yourself.” When we “lose ourself” in the service of others, somehow we end up finding ourself and our purpose.